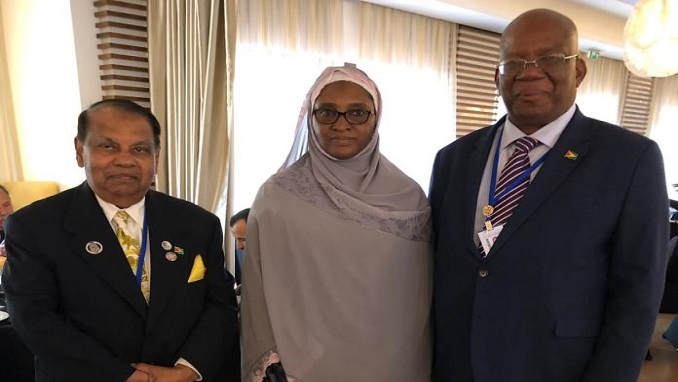 On the occasion of the 44th annual meeting of the Islamic Development Bank (IsDB), minister of finance of Guyana, Winston Jordan, thanked his fellow governors, and the board of directors for their work and support and also announced that the Islamic Bank would undertake several projects in Guyana. Amidst “a diminishing pool of multilateral and bilateral support to provide the social and economic infrastructure necessary for giving ‘the good life’ to all Guyanese,” Jordan is looking to expand ties with the IsDB Group. Several projects are under consideration among which are the development and construction of three mini hydro power systems and road links in the vast hinterland communities; the construction of several potable water and sanitation systems; a reverse linkage programme in halal ecosystems and a reverse linkage programme in technical and vocational training with emphasis on addressing the critical needs of the emerging oil and gas sector. Since 2018, the Islamic Development Bank has approved three projects – a grant of ID200,000 for the upgrade and modernization of a geriatric facility; a US$20 million installment sale operation to expand and upgrade the electricity transmission and distribution system, and a reverse linkage programme (funded by Malaysia (US$0.3mn), the IsDB (US$0.28mn) and Guyana (a matching amount)), to make the rice industry more resilient, productive and competitive, Jordan told member states of the IsDB.